I managed to make the game count the items collected (here I call them Life) and print the number to screen. However, I want to have it add the number to a HUD. PS. If you know how to stop the counter from resetting every time I leave the level, and come back in, please share as well, it would really help. It would probably be more efficient to handle the variable stuff in the pawn's BP. As far as printing to your HUD goes, change the binding to a new variable (i.e. 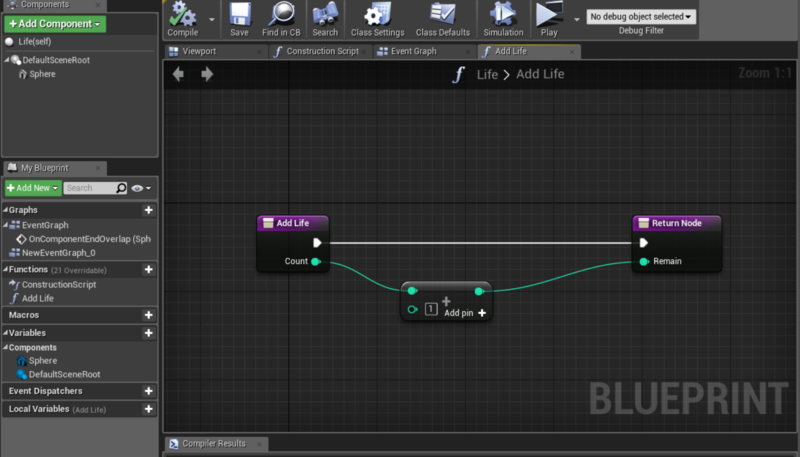 Life) in the widget, and during the tick even cast to the pawn and set the widget's Life variable to the pawn's variable. I've personally only ever had problems with binding functions on widgets. you are a beautiful human being! haha thank you so much, this worked. Just in case, any idea on how to stop it from resetting? oh nvm! I managed to use Game Instance to stop it from resetting. How Do I Increment Render Scale per Tick? 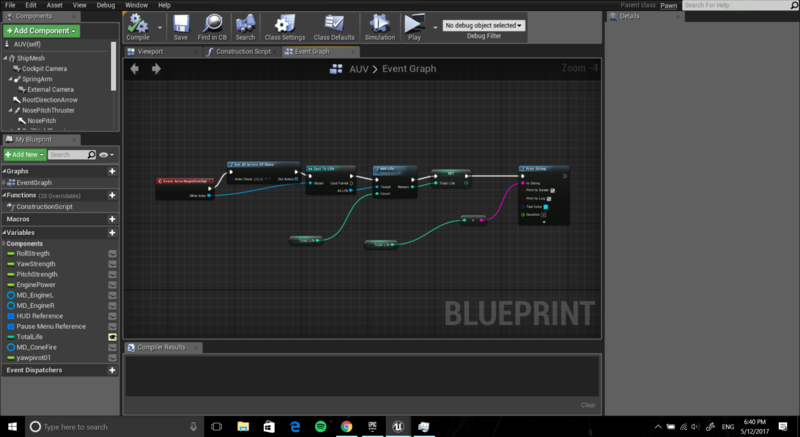 How can I recieve a variable from my level blueprint to add to hud? How to add dynamically an image in the HUD ? Drawing a Hud on Viewport. Issue with "Project" blueprint node in VR? How do I get the Hud Box to display.